If you belong to the group of the best North American League of Legends players in Ranked play, you might get a chance to prove your abilities on the big stage right in front of your favorite players or teams and make your way to the pros. Yes, 2016 NA Scouting Grounds are announced, and you have the opportunity to either participate as a player or to watch the excitement battles. Back in August 2016, Riot Games announced the inaugural NA Scouting Grounds which will feature the top players from the NA ranked ladder. Selected players will have the opportunity to boot camp and level-up with organizations such as Team Liquid and Echo Fox. After this amazing experience, the players will take part in the in-house tournament where they’ll show what they’re made of to the LCS 2017 and Challenger teams. Of course, the player can’t have any sort of professional contract with some team, and it’s mandatory that a player didn’t play more than two games professionally. Throughout the October, Riot Games will keep sending surveys to email addresses attached to players’ LoL accounts. Now that you know more about NA Scouting Grounds and types of players that can participate, you’re probably eager to find out more about the event itself. If we take other events organized by Riot Games into consideration, it’s perfectly clear why LoL enthusiasts can’t wait to see battles of the rookies. The event will take place in November (13-19) at the NA LCS Studio in Los Angeles, California. A total number of 20 players will take part and have the opportunity of a lifetime, to demonstrate their capabilities and find their way to some professional team. Representatives of the Counter Logic Gaming, Immortals, Echo Fox, and Team Liquid will be present at the event where they’ll keep an eye for potential talent. The invited players will go through a series of practices (scrims) and match both randomized and with selected and coached teams. The players will also get a tour of Riot HQ, attend media training and workshops on contracts. After the practice, teams finally get to compete in a tournament where they have to demonstrate their individual skills, teamwork, and ability to adapt quickly. Although it seems like too good to be true for professional teams to pick some unknown player who didn’t participate in any tournament before, it’s not impossible. For example, Faker was scouted through a Korean ladder. 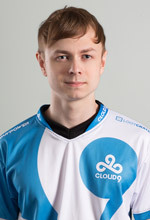 Another example is Cloud9’s Jensen. Although the NA Scouting Grounds will feature players whose only experience is playing LoL online, it doesn’t mean there won’t be excitement. In fact, you can expect to see a lot of great moments. The reason is simple; every single player will do their best to win and have a shot to be a part of some professional team. Keep in mind that they will have to play in teams without knowing one another too well, their strengths or weaknesses, and it will be interesting to see how they’ll learn and adapt, which is what professional players and coaches are looking for. You’ll get to see all the action on Riot Game’s official YouTube channel. NA Scouting Grounds is a way of seeking talent and connecting Riot Games, professional teams and players with LoL enthusiasts and the best players in the particular region. The event is bound to bring us a lot of excitement and who knows; maybe we get to see yet another rookie making his way to the professional team.